HBE-3000 Electronic BrinellHardness Tester with 10 steps testing force is able to measurehardness values with each 10 Brinell hardness scales. Theinstrument adopts circuit type sensor added with control system,thus with high precision, high repetition,reliabilityeasyoperation. 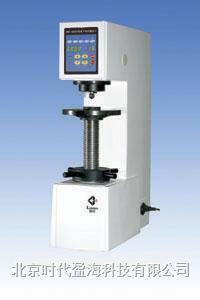 Brinell hardness test which adopts heavy testing forceshowslarge indentation is apply to measure hardness value for big grainmetal materials such as casting parts, nonferrous metalsalloy,various tempered steel, hardeningtempering steel, speciallyfor soft metal such as pure aluminum, lead, tin, etc.